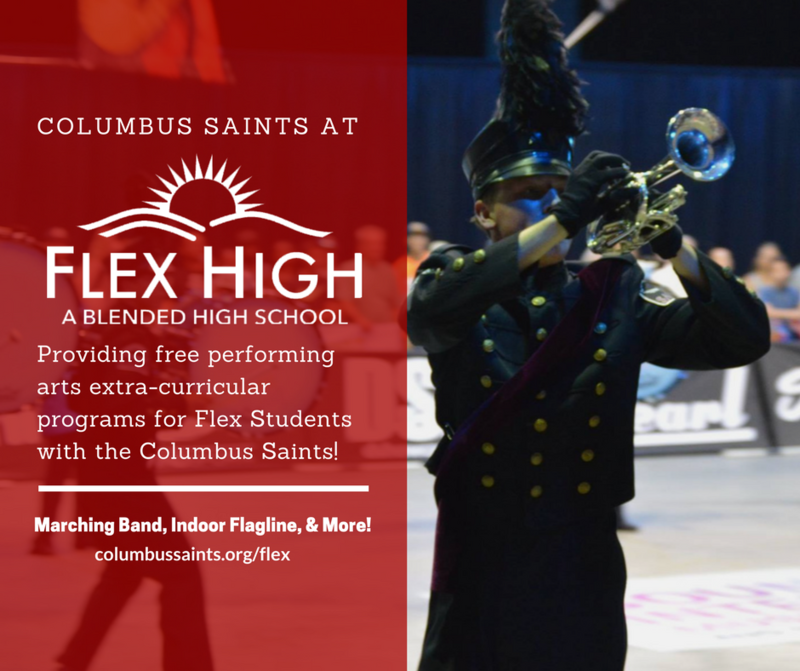 The Columbus Saints Performing Arts have partnered with Flex High to bring our programs back to Franklinton for Columbus area students! Flex High is a unique blended high school that allows students to earn a high school diploma through an intense program! Through the partnership with Flex High we provide educational and performance opportunities at NO COST for Flex High Students! Music is important to students development and can change outcomes, help with focus and more. The Saints offer group lessons and workshops with our experienced staff, and two high-level competitive performing arts programs. All of our programs are open to students ages 12 and up, regardless of enrollment at Flex High and we encourage you to sign-up and attend as it’s a great opportunity to learn! Workshops – starting in late January the Saints will begin providing 90 minute workshops for students who are learning new instruments. 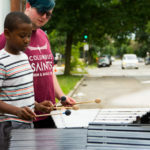 The goal of this program is to expose students to new instruments, techniques, and more in a group environment so they can benefit from a more relaxed environment. Students who desire a further challenge are encouraged to seek membership in the drum & bugle corps. 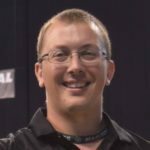 Marching Brass Workshop – Brad Thomas – is an experienced performer and educator with nearly 10 years of experience marching drum corps and marching band. 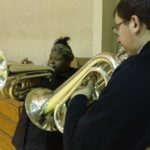 As an alumni staff or member of numerous DCA, and DCI SoundSport corps; DCA Gold Medalist I&E Tuba, as well as the OSUMB, he brings a fun and accessible approach to teaching brass for all ages! Mallet Percussion Workshop – Bretton Jones – is a 3 year alumni of the Columbus Saints, and alumni of Galaxy Percussion, winning multiple Gold and Silver medals in competition. Passionate about percussion, and helping young people reach their goals, Bretton makes learning percussion fun while challenging students to perform as an ensemble. Cost – FREE for Flex Students ; $5 per class for everyone else. Location – Flex High at 115 S Gift Street, Columbus, OH 43215. Dance Classes & More – starting in the spring, the Saints have plans to bring dance classes to Flex High. This will include ballet, African dance, and more! Check back for details! Drum & Bugle Corps – a competitive marching brass band that creates complex and exciting shows for the college football field! Starting auditions in the fall, the corps draws in young people from all the across the state to create a unique program. 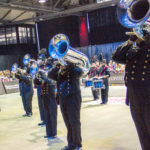 The corps tours and competes from mid-June till Labor Day on weekends only including performances at locations like Atlanta, Madison (WI), Chicago and more! 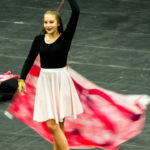 Winter Guard – an indoor competitive dance and flag line that produces emotional performances combining elements of dance, theater, and more. Starting auditions in the fall, the guard pulls in Central Ohio youth ages 12 and up teaching them dance fundamentals, performance basics and more. The guard competes locally and at select regionals in Indianapolis, Pittsburgh and more against other ensembles from as far away as the Netherlands, UK and more!